It’s great to be able to top up your day job earnings by undertaking other work during the evenings or at weekends. But adding to your usual 9-5 schedule means you’re in danger of taking on too much. This increases the likelihood of stress, which will impact on your productivity. For this reason, it’s best to put in place steps to ensure you can work at your full potential both in your day job and self-employed role. We explore a few that can be easily implemented here. If you never turn off from work, your energy levels don’t have the opportunity to regenerate. Both your body and mind will feel the strain, and you’ll be unable to work at your best. Everyone needs a little downtime – allotted periods where you’re not working. Frequent breaks are one idea. But if you’re also working weekends and during any annual leave booked off in your day job, you’re not giving yourself sufficient opportunities to recharge. Therefore, ensure you take days which are dedicated to enjoyment and other activities. If you can, switch off your emails and phone, so you aren’t disturbed or tempted to work. You may feel that there’s simply no time available to tune out of work, but this might not necessarily be down to the number of tasks you have on your to-do list. Instead, the issue could be disorganisation. Keeping folders in order so that any file can be easily located. Setting up rules and filters in your inbox, guaranteeing you only receive notifications for important messages. Taking advantage of time management apps to aid collaboration and reduce procrastination. Switching paper for a digital format where possible, making tasks more seamless. Prioritising your to-do list – putting achievable deadlines in place will ensure you don’t feel overwhelmed. It’s not just your work tasks that you’ll have to complete when self-employed, there will be administrative duties too. The amount and type will vary depending on the work you’re doing, but often include replying to emails, logging expenses, ordering supplies and sending invoices. If you’re also setting up your own business, then there are more to consider. These include marketing in the initial stages to get your brand known, HR-related costs if you have any employees, and dealing with the operational side like insurance. All these tasks will take up even more of your time, making balancing a day job alongside self-employment more difficult. It’s therefore a good idea to outsource these to a specialist. Whilst it will cost you a fee, you’ll have peace of mind that it will be completed to the best standard. On top of this, you’ll have the energy and focus for other, more pressing business matters. Should you outsource the Self Assessment tax return? One task people often consider outsourcing is the Self Assessment, but this isn’t a necessity. You can easily do it yourself with tax return software. This offers a completely streamlined process with minimal effort required from you. Whilst you will need to input your data, it works out all the calculations on your behalf. You’ll be tax-efficient too, as it provides saving suggestions. 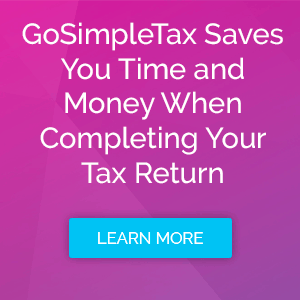 Additionally, GoSimpleTax’s Self Assessment software will give you a real-time picture of your financial situation at any time. This means you won’t ever need to worry about an unexpectedly huge tax bill. You’ll be able to feel more at ease about your accounts, making the management of both your self-employment and day job easier. If you’d like to sample how GoSimpleTax will ensure you get the balance right, take a free 14-day trial today.